“Addiction is a Brain Disease,” says Harold C. Urschel, Chief Medical Strategist and Author of Healing the Addicted Brain. I have cautioned Frank, my nephew a few times to steer clear of friends that do not contribute meaningfully to his life. It seems as though my advice fell on deaf ears. As time went by, I began to notice certain behaviors in my dear nephew whom I see as a friend. He comes home late almost every day. Of course, he didn’t get addicted to other drugs on day one, but gradually he scaled it. His desire for alcohol also increased. In fact, I noticed that Frank’s interest in addiction grew out of his college excursions, experiences, and communications. He was trapped in the sea of addiction and didn’t know what to do. My short story might even resonate with you. But it wasn’t all bad news. For me, I found proven ways to help Frank recover. No, I wasn’t a doctor or medical professional, but I understand emotions and how human psychology works. That helped me a lot. The mechanism that drives a person to alcoholism is still not clear enough for family members and doctors alike. Could it be friends, peer pressure, access to alcohol, environment, the list goes on and on? In some people, alcohol consumption does not lead to addiction, while in others, after a few contacts with alcoholic beverages, a dependency is created, preventing the person from controlling their own will and causing them to uncontrollably do anything just to consume more alcohol or other drugs. The treatment of alcoholism should be accompanied by health professionals, who can lead the dependent to reduce and eliminate the consumption of drinks in a progressive way. To begin treatment, however, it's necessary for the dependent to recognize this situation, realizing that alcoholism has become a disease that needs to be treated. To control the urges to give up drinking, the alcoholic needs a good deal of will and determination, thinking only of his goal and never giving up. In case of relapse, the person may be forced to abandon the recovery attempt and possibly it can be even more difficult to resume treatment. After taking the first step to getting rid of alcoholism, the individual should talk to family and friends, without prejudice, assuming their dependence and the need to get rid of the addiction. This is a situation that will bring only benefits since friends and family are usually the people who care most about the success of the treatment. To get rid of alcoholism, the alcohol-dependent needs the support of close people (e.g., spouse, friend, therapist, confidant), as he or she will need help at many times and nothing better than the family or close friends to offer support. Of course, there are several levels of alcoholism and a person does not have to go to the extreme to seek treatment. There are some levels where the treatment can be more painful, with serious abstinence crises, bringing serious problems for the individual who needs to heal. However, in the face of advances in medicine, with the implementation of communities for treatment, with adequate psychological counseling, the alcohol-dependent can more easily get rid of alcoholism and recover the benefits of sobriety. To stay away from alcohol addiction offers more health, fewer possibilities of diseases, reduction of problems in the liver and a more integrated social life, that is, the properly treated patient can occupy his place again in life and in society. When wanting to quit alcoholism, one should keep in mind that abstinence is a rather difficult period to be traveled alone. Therefore, it's best to seek a doctor who should be in the best positive to advise the alcoholic certain events, as well as advice the person on how to handle common symptoms associated with alcoholism such as panic attacks, severe anxiety, irregular heartbeat or tremors. 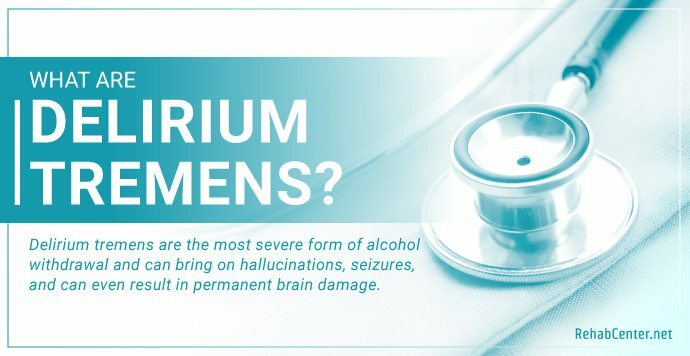 These symptoms can progress to cases of delirium tremens, which can be really serious if left untreated. To escape from alcoholism the alcohol-dependent have to be aware that it's not an individual process. The alcoholic is carrying a great weight and must be aware that the people closest to him want to help him. Generally speaking, however, it becomes easier with the help of a doctor. To treat alcoholism, doctors usually indicate some medications, used to reduce anxiety and control panic. They are safe medicines and do not present serious reactions, even in case of overdose. The alcohol-dependent must also change his attitude towards alcoholism, remembering that he's not being forced to give up something that can do him good. On the contrary, he must think that he is getting rid of a potential enemy. This angle of vision may make it easier to give up the addiction since he will certainly feel the need for a long time to come. The dependent alcoholic should choose a definite date to leave the alcoholism. If he/she is in a more advanced stage, he/she should start drinking less, reducing it gradually so it doesn't lead to major problems with abstinence symptoms. If he or she has any questions about this, talking to a specialist doctor can help; who can help in effective planning to stop drinking definitely. To relinquish alcoholism, the dependent must get rid of any alcoholic beverage in his own home, without worrying that it's necessary to offer a beer or a wine to the guests. 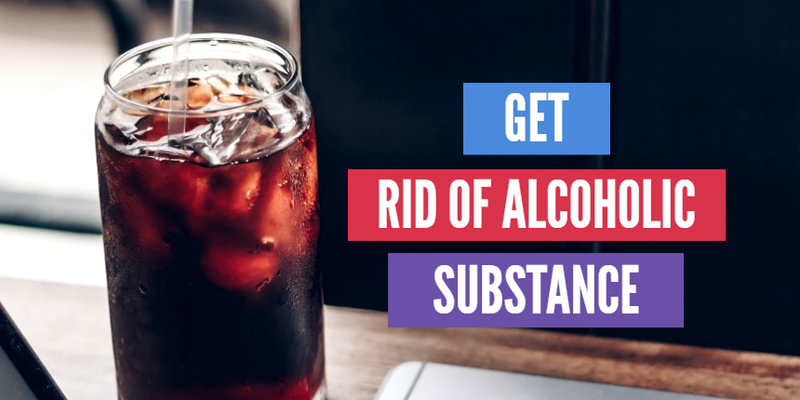 If the person is really willing to give up alcohol, he can offer friends soft drinks or other non-alcoholic drinks, even if he has to put himself as a recovering dependent. The abandonment of alcoholism is not easy. It's a rather complicated process. The dependent must pay attention to all his emotions and, if necessary, let them leave, without any fear or fear, that is, if he feels like crying, he should cry. As long as the alcoholic does not feel the confidence to stop alcoholism, the dependent on treatment should avoid situations that make him want to drink. Don't go to the bars he used to frequent, and leave aside people with whom he used to drink and not to go to places that are more tempting is the best thing to do. Also, avoid anything if he doesn't feel prepared not to drink. For example, if he usually travels on vacation to places where he used to drink, avoid traveling. If dinner means receiving an invitation to a drink, he must do not go to the dinner. Protecting his sobriety is the most important during recovery. The decision to abandon alcoholism is the dependent's own and does not interest other people. So there’s no need to always explain his decision. The alcoholic must understand that most people are not an alcoholic, and they drink for pure pleasure and in the right amount. For a dependent, however, the situation is different: alcoholism is a disease that needs to be treated and taken seriously. Therefore, instead of showing curiosity about the person's decision, try to motivate alcohol-dependent to seek activities that provide well-being without alcohol, such as sports, volunteering, playing a musical instrument, crafts. Also, value each treatment advancement. Realizing that the person is doing well and moving forward in treatment will do well for the recovering alcoholic. If the alcoholic has a relapse, don't devalue the effort, it's possible to get up and return to the treatment.